Placing advertisements on blogs is the primary way many of us are earning an income. As I previously discussed, there are hundreds of ad networks out there to choose from. Different blogs can get different results from each service so many of us will test out different companies until we find the best fit. One such ad network I suggest you give a try is called Chitika. Chitika Ads run through the Yahoo! Network and can be a great way to add extra income as blogger. Check out a more in-depth view of Chitika by reading my guest post over at Crochet Business. 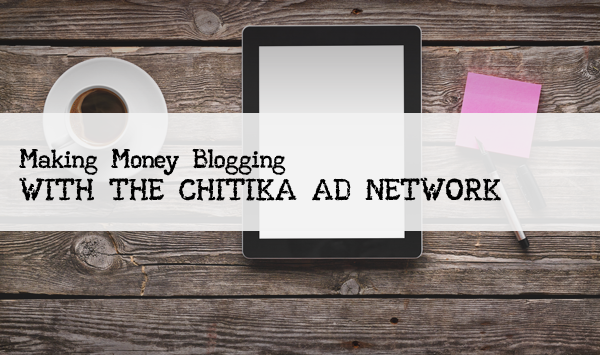 In the full article you will learn more about how you can pair Chitika up with other mainstream advertising networks as well as how to get started using Chitika ads on your blog. Let me know you stopped over by leaving me a comment on her blog! Thanks! 16 Best Paid Blogger Opportunities to Make Money Online!